It looks like I'm starting up karlkindt.com again. I can think of no better way to restart it than to share what I am currently passionate about: the children of music. I have been creating what I will call "songs" for awhile now. I refuse to call them "music." I refuse because most people besides me would also refuse to call it "music," so I'm surrendering the argument before it even starts. I am making songs I call the children of music. Just like you are not your parents, neither are the sounds I make--they are the descendants of what you know as music. I got this ideas from an album by one of my audio muses, the duo called Boards of Canada. They have an album called "Music Has the Right to Children." So I am creating what I am making in an attempt to fight for those rights. Do you know what dubstep is? Chillstep? Trip hop? House? Ambient chill? EDM? Do you know Tycho? Do you know Boards of Canada? Do you like any of it? Then you might like my (audio persona Philip K. Dubstep's) creations. Anyway, it won't cost you any money. All it will cost you is time. Hopefully if you like any of it, listening to the songs will pay you back. 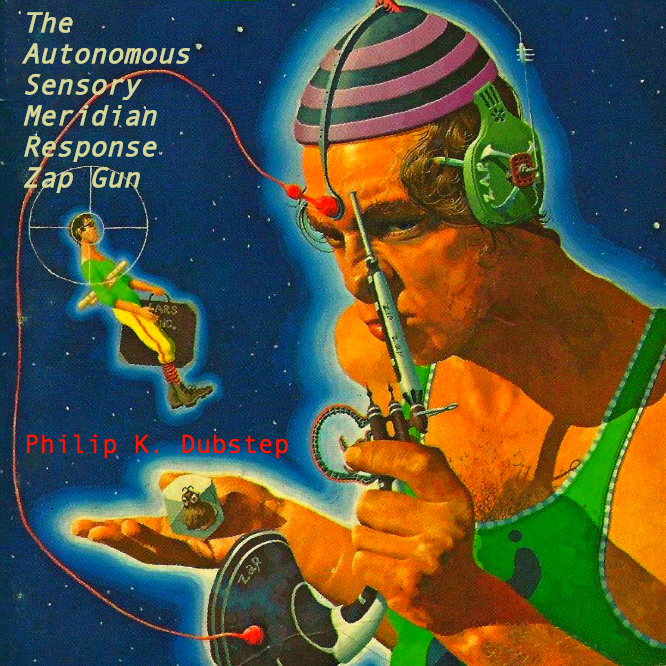 My advice is start with my (audio persona Philip K. Dubstep's) newest album The Autonomous Sensory Response Zap Gun since it's my best creation thus far. Then if you get sucked in go ahead and listen to all 50+ songs I've made on the Philip K. Dubstep YouTube channel.